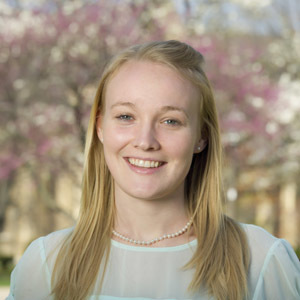 Elizabeth Peuchen is a first-year graduate student in the Department of Chemistry and Biochemistry. Working with Norman Dovichi, her research focuses on studying protein expression level changes in Xenopus laevis (African clawed frog) during early development. Xenopus laevis is a model vertebrae species able to regenerate its severed spinal cord. By understanding how protein expressions change during development, she hopes to determine which proteins allow Xenopus laevis to regenerate their spinal cord while other vertebrates do not have the same ability. Three additional Chemistry and Biochemistry graduate students received honorable mention in the competition. They are Kaitlyn Eckert, Beth Facchine, and Kristen Johnson. Modified from original article published by Stephanie Healey at science.nd.edu on April 17, 2015.